My “Front Door” walk / next year? I have set a date for the start of my “Front Door” walk – walking out my front door, in Mudgee, and walking to Santiago. This is what pilgrims did in times past – they walked out their front doors and they walked to Santiago de Compostela. And they walked back again too, but I’m not doing that! I want to leave home on August 11th next year, on my 65th birthday. By that time I will have completed my obligations to Penguin Random House on delivery of the three books in the Palace of Fires trilogy. I will also hopefully have my PGS Intuition film in release – and so I should have a free four months to do the walk. I want to arrive in Santiago around Christmas. I’ll walk from Mudgee to Mascot airport – approximately 300kms – then I’ll catch a flight to Heathrow. I’ll then walk to my birthplace, which is Wimbledon, in London. From my birthplace I’ll then walk down to the coast, most probably to Newhaven, where I’ll catch a ferry to Dieppe on the French coast. From there I’ll make my way down through France to the Le Puy Camino, and walk to Santiago from there. All up I estimate the walk to be in excess of 2,500kms. I’ll write a book too about my journey. I really don’t know, other than it’s a compulsion which I’ve felt building for a long time, and I’ve been frustrated that I couldn’t leave earlier, because of work commitments. The only thing which would stop me doing the walk next year is if I am filming either Defiant or my Camino movie. And I hope I am!! But I also hope that this Front Door walk happens sometime next year. haha – haven’t done it yet Ingrid, but thanks anyway! I ‘second’ your comment Ingrid. What you’re doing this Summer in Spain is epic too. Joy awaits on those ancient and magical paths and also in Santiago with your work at the Pilgrim Office. That is a grand undertaking! Love your vision. Hi Bill. My first thought was that you are barking mad. Then I realised there is a long flight in the middle. Now it seems more realistic. A bit like walking to the shopping centre. Walk out the front door down the driveway to the car. Drive to the car park then walk to the shops. Makes sense but you may still be barking mad. Good luck with the plan and we look forward to the book release and the film of course. haha – thanks Gary. My wife is fairly dismissive. She saw this post come up as an email alert in her Inbox and deleted it immediately, saying: Good – more time to myself… then she said: Good luck finding the time to do this! I’ll find the time. I love it Bill! You are such an inspiration! Could I be the first to wish you Buen Camino? May every path you take be a magical one and may you take joy in every step to from your home to Santiago. Hi Bill – once the intention’s set it’ll happen on the date that you have set – roll on 11 August 2018! What an auspicious day for the commencement of your World Camino! Thanks so much Bill! I hope so much that you can find the space … the timing of it all sounds ideal. I certainly will be cheering you along! What a wonderful gift to give yourself for that milestone birthday. Bill, that would be an incredible journey! I feel so much the tenderfoot (probably not a great word choice for the Camino) as I prepare for my first (mini) Camino which starts in 50 days. I have no doubt you will pull it off, if not next year, the following year. What an inspiring journey !! And shooting some rushes for the Camino movie in the same time ? Marie – the would be so cool to meet up with you in France!! I am thinking that I will go from Dieppe to Chartres, and the Cathedral, and by-pass Paris altogether, then head to Orleans and then follow the Loire east and south until it becomes the Chier Nievre, then follow that further south until I can split off and walk to Le Puy. I think the walk will be easier if I follow a river course. What do you think? … and I think it’s better to do this first, and the Camino movie second. Much (that is all true) has been written about the 3-4 physical/mental “stages” of “doing the Camino”, focused on the experiences on the Francès — you will discover some at least of the 5-6 + “stages” of the Pilgrim experience that are outside, before, and beyond just that portion of the Way ; and be forewarned, some of them are not at all easy to deal with. Julian – I need to talk to you more about these “stages.” And 2000kms in 77 days is insane! You must have been flying. If I subtract the 3 rest days I had on the Camino Frances because of injury, I did the pilgrimage in 28 days. I’m doing my estimates for this “Front Door” walk at averaging 25kms per day, with a rest day every two weeks. But I might go faster, as you say, particularly towards the end. Hopefully at the end of it I will be deemed in your eyes to be a “true” pilgrim! haha. I still think that down to Tours via Chartres, then walking up the Loire valley (which would be a VERY welcome break for you from the more “drudgery” side of things, because that walk up the valley is gorgeous and would feel a bit like a “holiday” in more ways than one) to rejoin the Vézelay Way, maybe at Saint-Armand, would be a better plan than the long detour down to the Puy Way. Paris is completely optional — but I *am* very familiar with the best route from the tour St Jacques to the Chartres Way, which is the quickest route out from central Paris to the countryside as well, with minimum suburbia. If you do go to Paris, make sure to be there on a day when the Pilgrim Office is open, anyway. As for rest days sure, but I think you’ll find they tend to plan themselves, though of course those in certain particular places can be anticipated to some extent. If next year doesn’t work out and you do it the next year you could consider it your “Route 66”. Ha! You will get it done, I’m sure of that. Wow Bill what a Camino! We are planning to start at Le Puy at the end of September next year and hoping to get to Santiago 8 weeks later. Maybe we’ll see you there😊. Hi Michelle – if I leave Mudgee in mid August, I won’t probably be at Le Puy until maybe late October. So we’ll miss each other, which is a shame! No doubt you’re starting to get excited about that walk of yours next year – the Le Puy is supposed to be wonderful! Will you go all the way through to Santiago? We’re hoping to get to Santiago. We may have to hot foot it for a few legs but we’ll just see how we go. 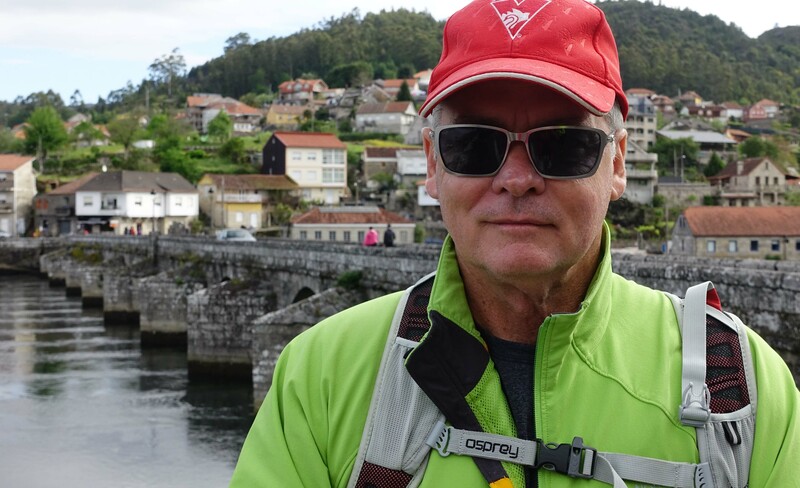 I have already walked from St Jean with a friend in 2014 but it will be a first for my husband, so I really want him to have the whole Camino Frances experience. We are also planning on walking from Porto to Santiago in October this year. What can I say- I’m addicted to this slow travelling life. Yep. Here’s hoping that we make it. I know that we have set a short time frame for a great distance but miracles do happen. I think going thru Chartres and Orleans is a great idea. Beautiful and easy. Less hotels and pilgrims accommodation is the problem though. People are no used to pilgrims so sometimes you will be looked at as the hobo in someplace, but it is so peaceful. You will have a shock entering in the Spanish part. Looking forward to see you. I figure by following the river valley I’ll avoid all those massive mountains that cross your beautiful country from east to west. I know the Loire valley a bit, and yes it will be gorgeous! You’re absolutely right about the “shock entering in the Spanish part“. yes you are right , julian,as we say in french between Chartres and Orléans it is “faire l’école buissonnière” but one can build it’s own camino; and it is flat, nice and easy so…. Hey Bill. I haven’t commented in a while but your adventure next year caught my eye. Keep me posted and maybe I’ll join you for a section or two. That would be great Michael!